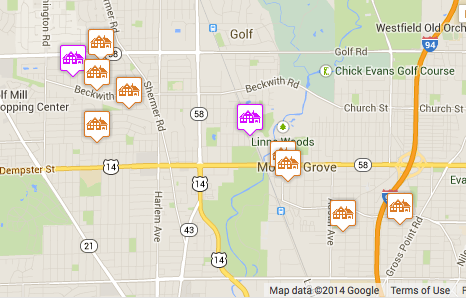 Currently there are 149 homes for sale in Morton Grove, IL with an average price of $322,017. Average market time is 170 days. Average sold price in the past 12 months for a single family home is $280,077 while the average sold price for condos and townhouses is $169,812.